Create an ADO.NET Entity Data Model in a Visual Studio project, and build. 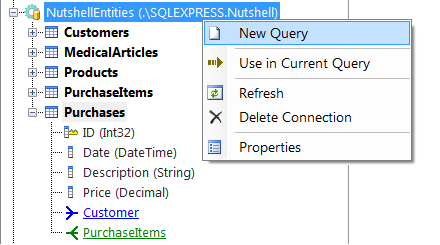 From LINQPad, click Add Connection (top left) and choose Entity Framework in the bottom listbox. LINQPad supports both DbContext and ObjectContext models.. Confirm the SQL Server and database details and click OK.
You can return to Visual Studio at any time and rebuild - LINQPad will not lock your assembly. LINQPad automatically refreshes the schema explorer and autocompletion cache whenever the assembly changes. 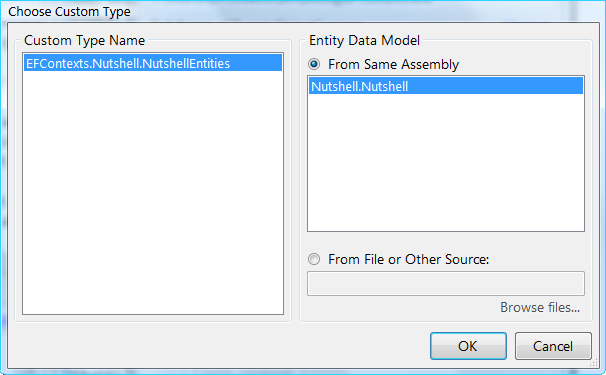 If your assembly references other assemblies, LINQPad will pick up these, too, providing they live in the same folder.